Background: Detail telephoto in Po﻿mpidou Museum of Modern Art, Paris. © Dan Abelow. 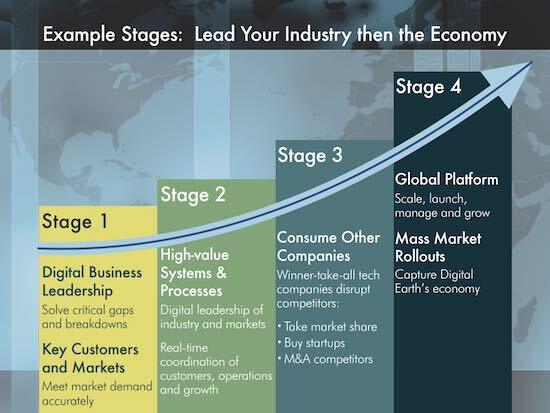 Lead your industry, then scale to help lead a successful planet. How? 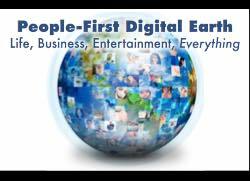 Use Expandiverse Technology to build a people-first Digital Earth. Connected Consumption will learn your personal consumption patterns. It will deliver to you accurately from your continuously connected vendors, with quality and savings. Active Knowledge will embed your "next best steps" in what you do digitally, so you can succeed quickly throughout every day. Active Resources will embed the "best digital tools" as switchable options, so you can switch immediately and be guided to high levels of success. Active Commerce will embed an invisible relationship with your trusted vendors inside your “moments of need." Search and shopping will be obsolete. An efficient economy will fit your needs with lower prices, higher quality and the life you choose. Digital Boundaries will put users in control of screens, making the interface the world's most valuable real estate. A consumer-directed economy will evolve Partnership Capitalism, a new growth engine for trusted companies. Shared Life Spaces will add continuous connections for digital living, working and entertainment. Everyone will gain powerful and far-reaching, multiple digital "presences." 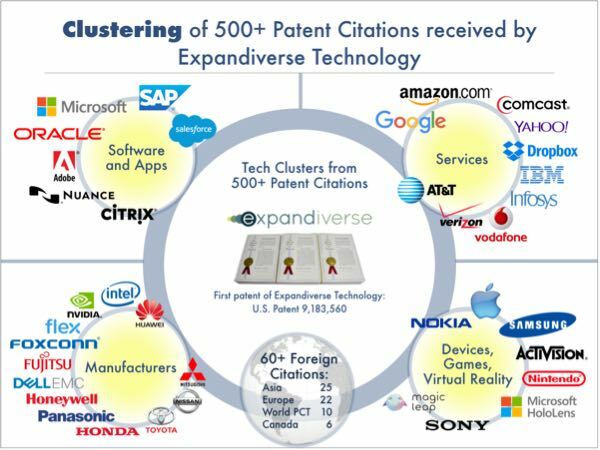 Perspective: What do Patent Citations mean? 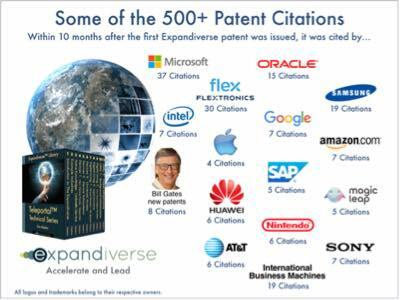 Within 10 months of issuing, the first Expandiverse patent was cited over 500 times by subsequent patents. This patent’s 1,400 page specification was divided into 31 technology categories by the U.S. Patent Office, enabling divisional patents through 2031. Architect of Digital Earth 2025, and its Strategic Roadmaps, so your company can help lead a People-First Digital Earth, a planet of universally successful and increasingly prosperous people. What will be the result? Everyday living will include humanity's combined knowledge, best tools and trusted commerce — at everyone's instant command, and with every person in control. Today's loss of personal control. Today's frequent lack of knowledge and abilities. The barriers to everyone becoming one of the world's most powerful and successful people. Who leads this people-first world? How will media and publishing regain world leadership? By becoming an equalizing gateway to universal personal success. How commerce can grow, merge with e-commerce and become an embedded omnichannel that gets everyone what they want. Own the global work platform that produces continuous success for employees, suppliers, companies and the economy. 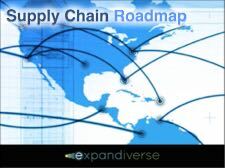 Add always-on "connected consumption" and real-time customer responsiveness to vendors, suppliers and logistics. 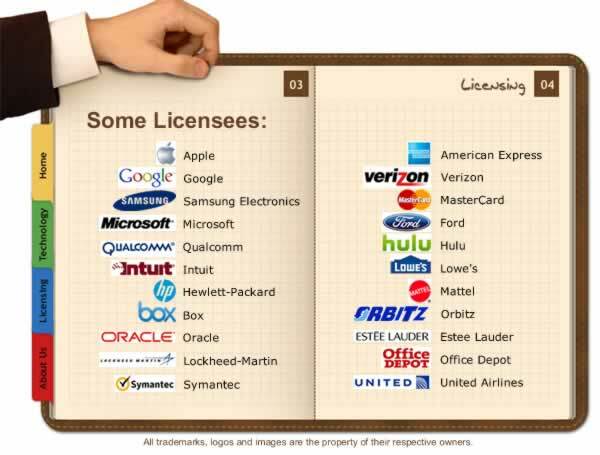 Dan Abelow's previous patents are licensed by over 500 corporations. Some of these include Apple, Google, Microsoft, Samsung Electronics, American Express, Ford Motor Company, MasterCard, Sony, Siemens, Oracle, Netflix and many others. Dan's first digital communications patent has been cited over 700 times. This added 1-to-1 interactions between customers and vendors during product use. It also added 1-to-1 transactions and learning from customers' actual use. This was filed in 1992 and licensed by over 200 companies.